When companies or individuals first enter the content marketing arena, they have a lot of questions. What type of information should you post and where should you post it? What does a copywriter do? How many times should you post every week? How do you come up with ideas? Different experts offer various answers to all of those questions, and the truth is that each answer depends on you. Your goals, business, audience, budget, and needs all play a part in determining how you create and publish content. One thing that doesn’t change is the need to publish fresh content on a regular basis. But how do you keep content fresh and relevant, especially if you work in a tight niche? Brainstorming and generating multiple ideas from a single source help you keep the content churning without reinventing the wheel every week. Consider a small garden. While some seeds planted in a garden might generate a one-to-one harvest, most gardeners hope for bounty from each seeding. A tomato plant should yield multiple lush red fruit; a cucumber vine should beget jars-worth of greens. Plant your editorial calendar in the same manner. One seedling content idea should yield multiple posts. When planning blog posts for a medical software company, you might consider writing about billing. Medical billing is an enormous topic; it includes subtopics such as coding, compliance, and denial management. Those subtopics can be broken down further. Coding topics include the change to ICD-10, thousands of diagnosis codes, appropriate training for coders, and a multitude of other topics. Remember: blog posts usually range from 300 to 800 words. By breaking complex topics into smaller and smaller chunks, you get many posts. Most people don’t plant their entire garden with one type of seed. Squash might be healthy and delicious, but if you eat it at every meal with nothing else, you’ll get sick of it quickly. If you post on the same topic every day, your audience reacts the same way. Gardeners plant a variety of produce; once they harvest those foods, they might cut up various types of fruit and veggies to make a colorful, delicious salad. By starting with a few major ideas and cutting them into various posts, you can create an interesting salad of content on your networks and pages. Don’t make word salad on each individual post. Instead, create short, cohesive posts that convey a main idea to your audience. Mix those posts throughout the week or month to keep your audience interested, rotating constantly between major ideas and topics that are relevant to your niche. 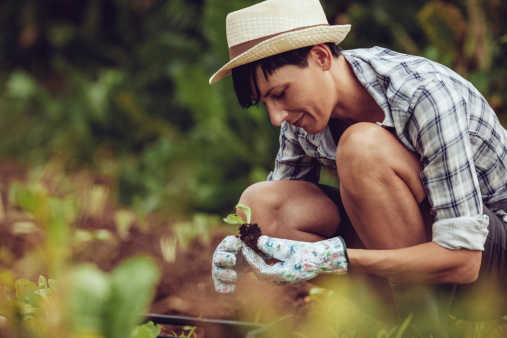 Sarah S hasn’t figured out how to plant a garden that doesn’t succumb to weather or deer, but she knows how to help clients grow seedling ideas into bountiful content harvests.